Nick left school early, Tony walked home, so it was just Joe and I at school pick up time. 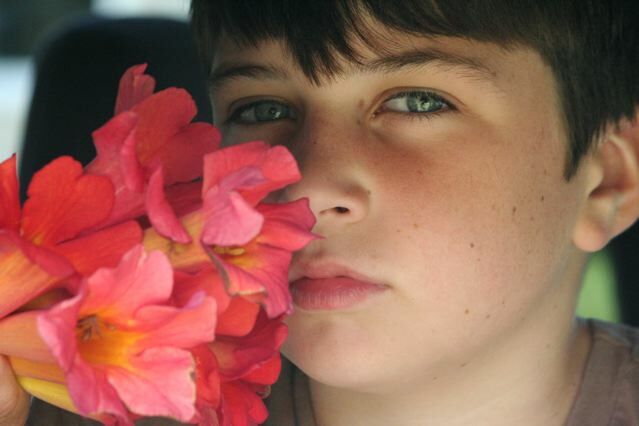 We were walking and talking, then he started picking flowers from a vine growing on the school fence. 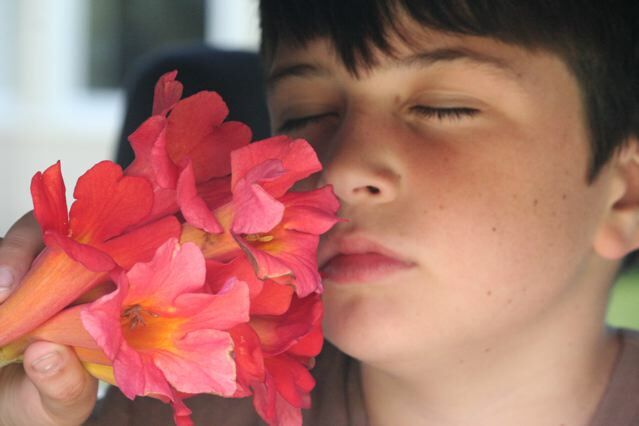 He grabbedd a handful and said, ” Mom, I’m going to make you some sweet perfume.” Now that right there is an emotional adrenaline Injection into the mamas heart. I think I grew taller….and floated the rest of the way to the car. 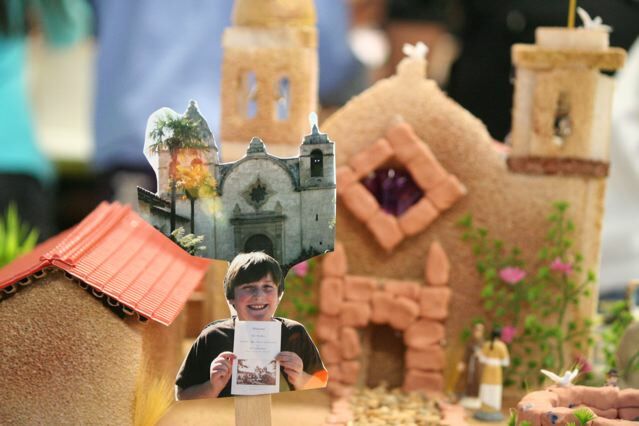 I had my camera in the car from the California Mission building and I wanted to remember this good stuff for a real long time! 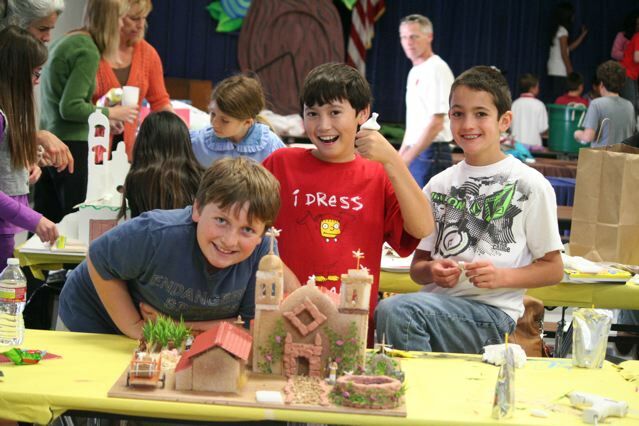 Nick, Sam, and Jack made a model of the Carmel Mission for Mission building Day! This Mssion Building Day was sooooo much better than Tony’s year…..The kids were into it and it was smooth sailing!